Andy began a blood filtering treatment and mild chemotherapy without delay but, those treatments alone would not stop the disease. Doctors recommended a stem cell transplant. Stem cell transplants have been successful in replacing bone marrow cells lost during the intensive chemotherapy that leukaemia patients undergo, but it is imperative that the donor’s cells are a good match with the patient. Immediate family members are often a good source. Unfortunately none of Andy’s family members offered a compatible bone marrow match. Like so many other leukaemia sufferers on the transplant list, Andy had to wait until a match could be found. He was not looking forward to the wait, so he contacted us. “I need to focus on a goal”, Andy remembers. And what a goal! He ran the 2004 Flora London Marathon dressed as Mr Bump as part of our running team. He raised over £15,000. Yet there was a glimmer of hope for the Jackson family. They had received news that a bone marrow match had been found for Andy. 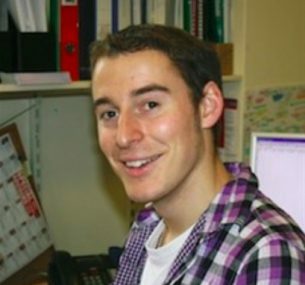 In May 2004 Andy began the first stage of the treatment. “First they clean out your kidneys, then they kill off all your existing bone marrow using chemotherapy,” Andy explains. The week of intensive chemotherapy was followed by two more days of radiotherapy. With the second phase of the transplant looming, Andy was worried not only about his future but his mother’s condition. The transplant was a success and, much to the amazement of his doctors, Andy started to produce white blood cells within a week. He was home a month after the transplant and was able to spend a few days with his mother before she sadly died. While the bone marrow transplant was successful, Andy was left exhausted and weak from the procedure. He continued to visit the hospital two or three times a week for anti-rejection drugs and follow-ups. He was also vulnerable to common infections such as chicken pox. “It was tough as I basically had the immune system of a four month old baby.” says Andy. Andy is now in remission but he will be on antibiotics for the rest of his life. 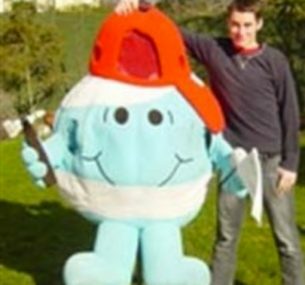 In 2011, Andy set himself a new challenge, to become the first Mr Men character to run from John O’Groats to Lands End. 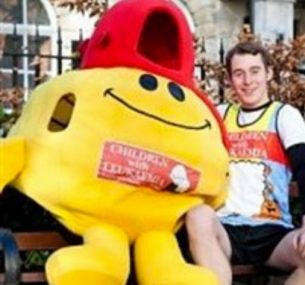 “My challenge was to run all the way from John O’Groats to Land’s End via the Virgin London Marathon as Mr Happy. The challenge started on 27 February and I covered a grand total of 1061.6 miles over the course of 71 days – an average of 22 miles a day, six days a week – arriving at Land’s End on Sunday 8 May. My son Ace was three years and three months old when he was diagnosed with acute lymphoblastic leukaemia.